Breckenridge Outfitters is honored to be The 2016 Orvis Shop of the Year and ‘The 2013 Orvis Endorsed Outfitter of the Year’ and one of the most decorated Orvis endorsed Outfitters in the country. We offer year-round guided fly fishing adventures and a full service fly shop in Breckenridge Colorado. We pride ourselves on providing the best knowledge, guidance and equipment to explore the finest fly fishing in the Rocky Mountains. Our guides are professional, friendly, and knowledgeable and have all attended the Orvis Endorsement School, and are therefore up-to-date on the latest teaching techniques. Come check out our amazing fly fishing trips! Now’s your chance to learn fly fishing basics in one of our free fly fishing 101 classes. Professional, friendly and knowledgeable, our Guides are up-to-date on the latest teaching techniques. Stocked with photos and video from Colorado’s best fly fishing experiences! Our helpful and friendly staff is willing to point you in the right direction, show you how to tie knots, or give you the scoop on all rivers and fishing conditions. We rent everything you need to fish and are more than happy to point you in the right direction. First time on a trip with us? Have a few questions? 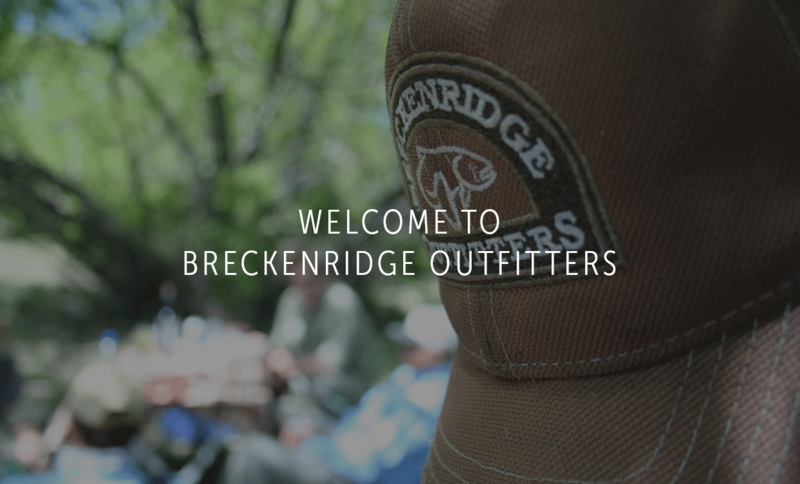 Use our online presence to liquidate your gear and turn it into Breckenridge Outfitters store credit.